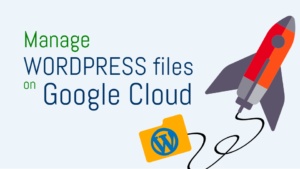 Are you getting Insufficient Permission errors when trying to edit your website files on Google Cloud Platform? In this tutorial you will learn two methods to fix common insufficient permission errors that occur when editing website files in the Google Cloud Platform Linux SSH shell. 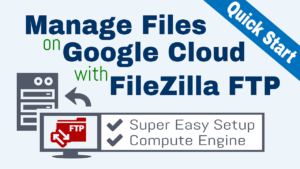 If you’re getting Insufficient Permission errors when using FTP, use this tutorial here. Before starting this tutorial, you should have already launched a website on Google Cloud Platform. The first and easiest method of avoiding Insufficient Permission errors is by executing commands as a root user. In the image above, the command sudo -i changes the user from “tutstest” to “root”, thereby instilling the user with the required permissions to edit the default-ssl.conf file. The second method of avoiding Insufficient Permission errors is by executing individual commands with root permissions. In the image above, the command sudo is included before the service apache2 restart command in order to instill the necessary (root) permissions required to restart the Apache server. With the use of these commands, you should be able to avoid insufficient permission errors in the future. How create a new directory and delete file/folder in SSH with command line ? The command to make a new directory is mkdir. The command to delete a file or directory is rm. Check out this post for more information about the most commonly used Linux commands with examples of their use.